Students from the University of Denver’s Daniels College of Business at Arrow Electronics in Tel Aviv, Israel. 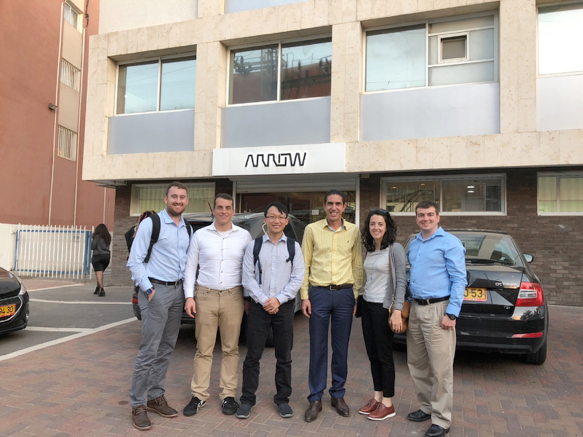 Colorado-based global technology-solutions provider Arrow Electronics recently hosted students from the University of Denver’s Daniels College of Business at its Tel Aviv, Israel location as part of the students’ global consulting course. The collaboration provided the second-year Master of Business Administration (MBA) students with a unique, hands-on business learning opportunity, with Arrow benefitting from their fresh perspectives. The students began collaborating with Arrow’s Israeli enterprise computing solutions business in September. The two-week-long on-site trip occurred after 10 weeks of remote collaboration, during the project’s mid-point. The Denver MBA students will present their final recommendations to Arrow’s Israeli team in March 2018.